The Allegheny Plaza is located in the heart of the Business and Financial District of Towson, Maryland. This property is in close proximity to the Historic Courthouse & Gardens, and within walking distance of the Towson Farmer’s Market and 47 restaurants. Lot A is located on the north side of the Allegheny Plaza Garage. Lot B is located on the west side of the Allegheny Plaza Garage. This lot is located on the south side of the Allegheny Plaza Garage across Washington Avenue. 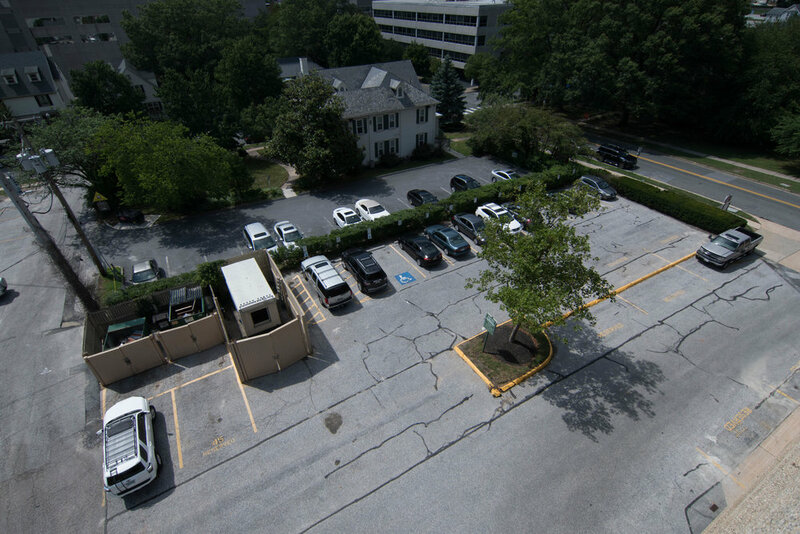 Checkout our brochure to learn more about our parking options in Towson. Maria DiPietro handles Mid-Atlantic Properties' parking inquiries. Contact her for all parking needs or information about our parking spaces. We look forward to hearing from you.